Working their way to becoming the next Tracy/Hepburn or Bogart/Bacall—or more likely, Stiller/Wilson—Jon Favreau and Vince Vaughn are teaming up for their seventh onscreen pairing. Having most recently played unhappy husbands in 2009’s Couples Retreat, the duo are now set to star in a crime thriller called Term Life. According to Deadline, the film features Vaughn as a thief who ends up on the lam with his daughter (Hailee Steinfeld). With “mob bosses, contract killers and dirty cops” after him, he takes out a life insurance policy to leave behind money for his daughter, but needs to survive 21 days for it to kick in. (Presumably Favreau will play one of the many antagonists hunting him down.) The film is based on a graphic novel by Nick Thornborrow and directed by Couples Retreat’s Peter Billingsley. 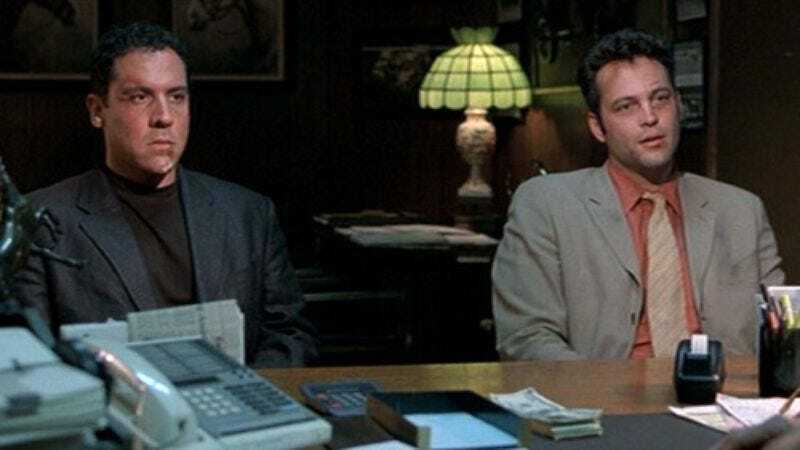 Here’s hoping Vaughn and Favreau are able to recapture the magic of Swingers that’s eluded them since, well, Swingers.